Why did Jesus view pearls as extremely valuable, referring to these in parables? It is quite interesting how pearls are formed: most come from oysters. Inside the oyster is an organ called the mantle that produces the inner shell lining, called nacre, out of the nutrients from the oyster’s food. A natural pearl starts to form when sand or some other foreign substance gets dislodged in the oyster, between the mantle and the shell, causing irritation. The oyster covers up the irritant to protect itself, using its mantle to envelop the foreign object with layers of the inner shell nacre substance. This process eventually forms a pearl. Pearls which are naturally formed and symmetrically round are rare and command high prices. That which was borne out of discomfort and irritation eventually becomes a gem. In its struggle and ingenuity in protecting itself from the foreign substance’s intrusion into its comfort zone, the oyster produces a thing of beauty and great value. What are the pearls in our lives? What gems have we produced out of various hurdles, bombardments, discomforts, pain, setbacks and irritations? Are these life lessons, nuggets of wisdom, deeper insights, a broader understanding, some know-how, an expertise in something, or some other achievement we are proud of? Or could it be a new way of life, a truth discovered that we would be willing to stake our lives on? Jesus warns against throwing our pearls before swine. The literary translation of this idiom is “to offer something valuable to someone who does not understand that it is valuable” (idioms.freedictionary.com). It is not necessary to define what a swine is, as the imagery of this creature’s brutishness and coarseness is evident. However, it is needful for us to recognize the swine we deal with in our everyday affairs. Note further that the idiom dictionary definition is quite mild compared to Jesus’ warning of the great harm the swine could inflict to the pearls and to the owner of the pearls. May the Lord grant us the wisdom to guard our pristine pearls against being thrown into the swine’s quagmire. What about clothing? Jesus marvels at how human beings worry about outward appearances. Straightaway He points to the lilies of the field and challenges the human mind to consider the comeliness of these flowers. What you see in a lily is beauty in its entirety — there are no additional artificial trappings that could make it more beautiful than it already is. What a striking statement that “even Solomon in all his glory was not arrayed like one of these”! All the silken robes, golden rings, necklaces, precious gems, and other paraphernalia for adornment are, in the mind of Jesus, pathetically inferior to the wonder and splendor of God’s creation. 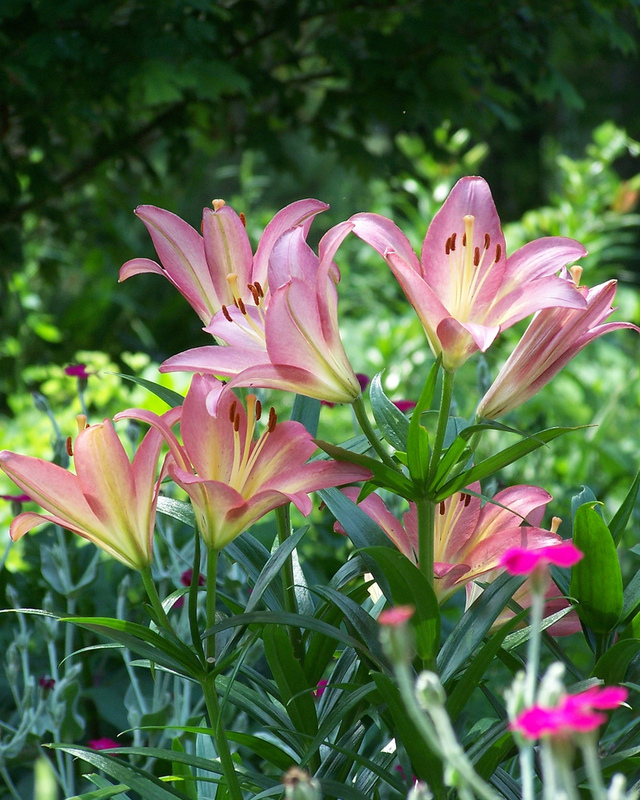 Our lives are as the lilies of the field. The totality of real beauty emanates from within; all that we reflect to the outside world come from the growth of the innate potential that our Creator has endowed upon each of us. If we cultivate the measure of faith, love and hope that are given to us, no worldly adornment can add to the essence of loveliness that springs forth in our lives, which in turn blesses others to the glory of God.